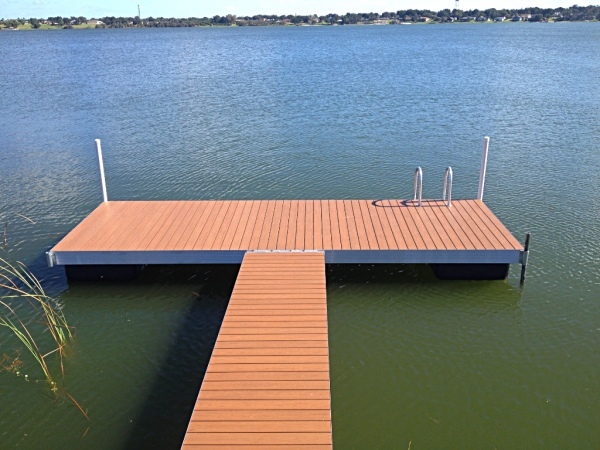 Docks are custom made to fit your exact needs. to give it the wood look without the rotting or upkeep. And the best part is......IT FLOATS. So it adjusts with the water levels and can be easy moved to a different location if needed.